Forty years ago, Gu Hai, transmigrated to a brand new world where the cultivation was no longer fiction but a reality. These are the tales of Gu Hai’s life since his arrival at the Chen Kingdom as he becomes the biggest merchant of six kingdoms. This is a short prequel to Everlasting Immortal firmament and gives context to how Gu Hai became the richest person in the six kingdoms. It should not be regarded as anything else then a short prequel to give context. It is rushed, has an abrupt ending and forgets side characters. But If you're planning to read EIF, I would suggest you read this because it explains a lot of what happens in beginning of EIF. While it's refreshing that it's a xianxia not focused at all on cultivation (which is the only reason I'd rate it 4, tho story is closer to 3 imo) and MC is middle aged, it kind of fell into a similar cycle. Great story, kind of a a prequel to Everlasting Immortal Firmament. So if you liked the story, I suggest you take a look at Everlasting Immortal Firmament. 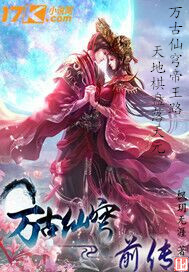 In this novel we follow the life of a great merchant/strategist in his thirties transcending into a Xianxia world. Being a man of experience he knows how to act in front of great characters, as he once was one of the greatest merchant in his previous world. His goal since coming to this unknown world is to become an immortal. The first portion highlights his skill as a merchant, the second highlights his stragetic ability, both in boardgames and in warfare. The latter portion of the warfare segment and the following chapters come off as extremely condensed, this is probably my only complaint of this story. I don't know when this was made in relation to EIF, so this might have preceeded it or it might have... more>> been made later to fill in some blanks. I highly recommend this and EIF (even though only 24 chapters of EIF are translated as of this review). Wayyy too fast paced at the end, it felt so rushed. The romance tag is such a lie, only a subplot at most if you really want to push it. Frankly disappointed, it was such a nice pace at the beginning..
A lot of things unanswered, but it supposedly a prequel so maybe.. The novel is quite short, but it was interesting to read. The only thing I could say as negative is that the last few chapters felt really rushed. Also a few things mentioned within the story seems to have been forgotten at the end. Short, simple, but jumpy. Multiple details skipped over. Timeskip instantly in one sentence. As others have mentioned, this is a prequel to Everlasting Immortal Firmament, meaning this whole novel details the story before EIF.